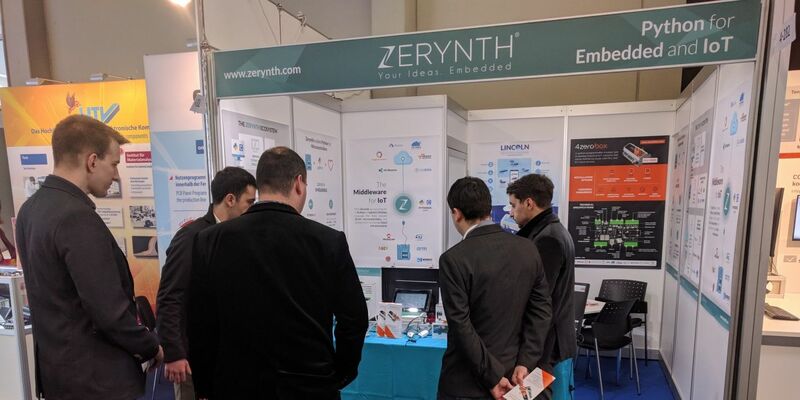 Day 3 at Embedded World with Zerynth. See you next year! 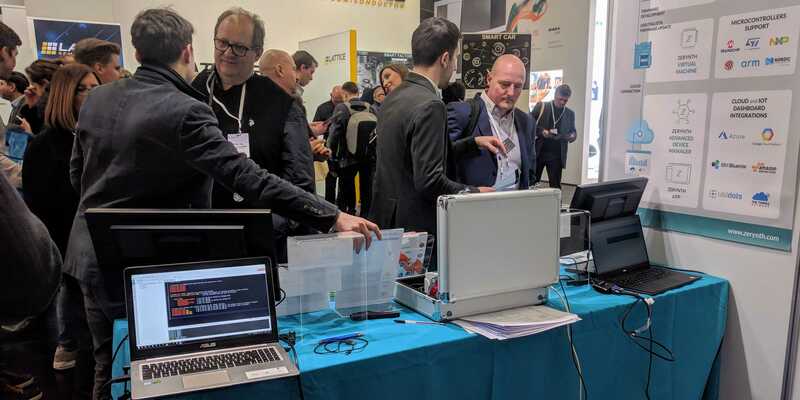 It was a whirlwind, a pleasure, an opportunity to teach and learn new things – Embedded World 2018 in Nuremberg was everything we expected and more. Day 2 at Embedded World fair dawned bright and we were ready for the visitors. Fueled by the fun we had yesterday, the booth was filled with enthusiasm and energy. We just got back from our first day at the Embedded World fair in Nuremberg. It was exciting from beginning to end for everyone in the Zerynth team, so we wanted to share some images with you. We are proud to announce the launch of the new and improved version of our ecosystem – Zerynth 2.1.0 is now available. This is a significant update, as you will see from the rest of the post. 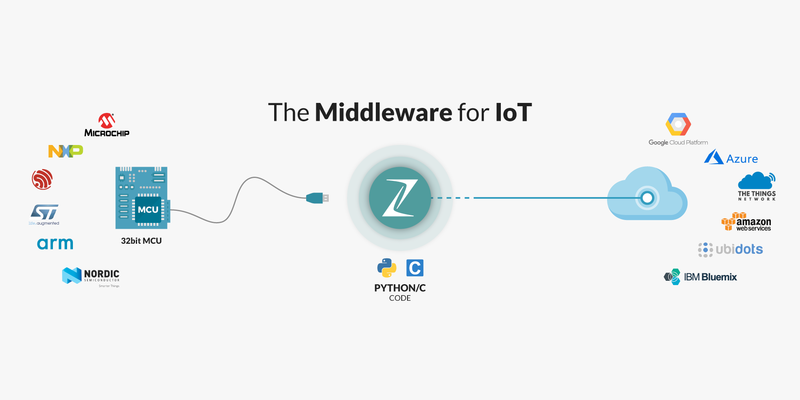 We have transformed Zerynth from being the Python for microcontrollers to being the middleware for IoT. 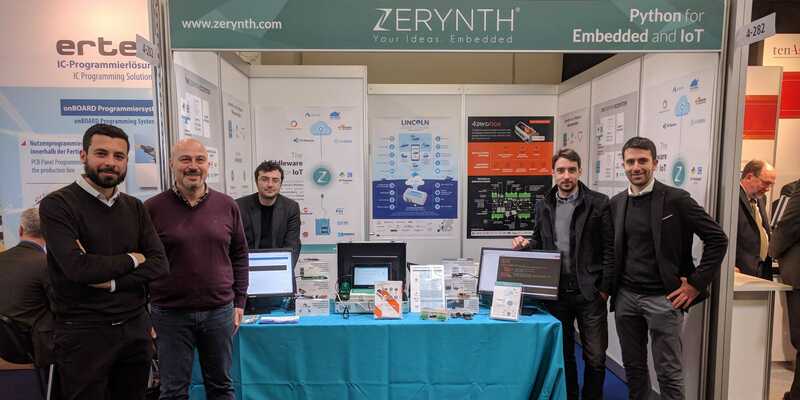 Zerynth at Embedded World 2018 – Come and meet us! Python and LoRaWAN were hot topics in Amsterdam during The Things Conference. The hottest topics it would seem, from the number of people who decided to join us in our workshop: “How to become an IoT developer if you are a web developer”. 2017: a Year full of Achievements for Zerynth! It’s that time of the year for highlighting remarkable moments and we’re excited to share an overview of Zerynth’s growth with you! Thrilling news from a Zerynth-partner: 4zerobox is live on Kickstarter! With the Ubidots-Zerynth integration, firmware developers can now connect their designs to the cloud in just a few lines of Python. A panel of experts lead by Zerynth, AAEON Europe and the University of Pisa, will discuss how LPWANs are enabling IoT and Industry 4.0 applications.